You’ve said the exciting “yes” to your proposal. Now it’s time to get planning! Though not everyone has the same budget as A-listers, you can use their wedding themes to inspire your decor. 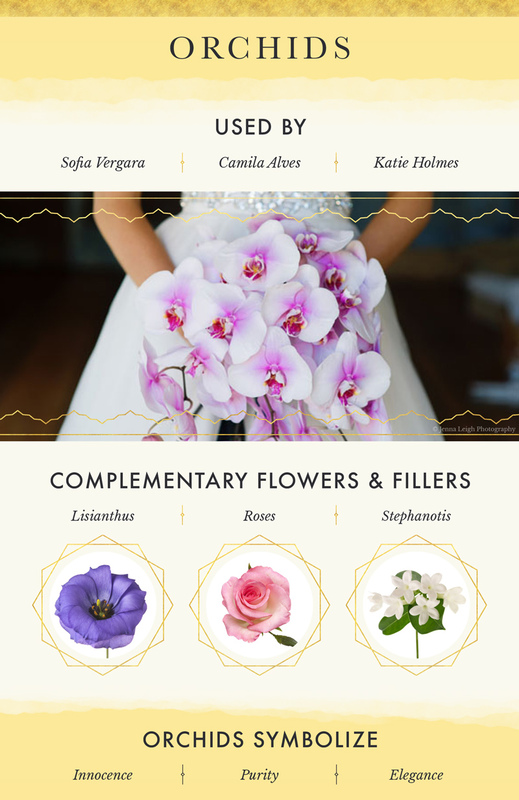 Flowers are an important detail to focus on because they’ll tie many elements of your big day together. 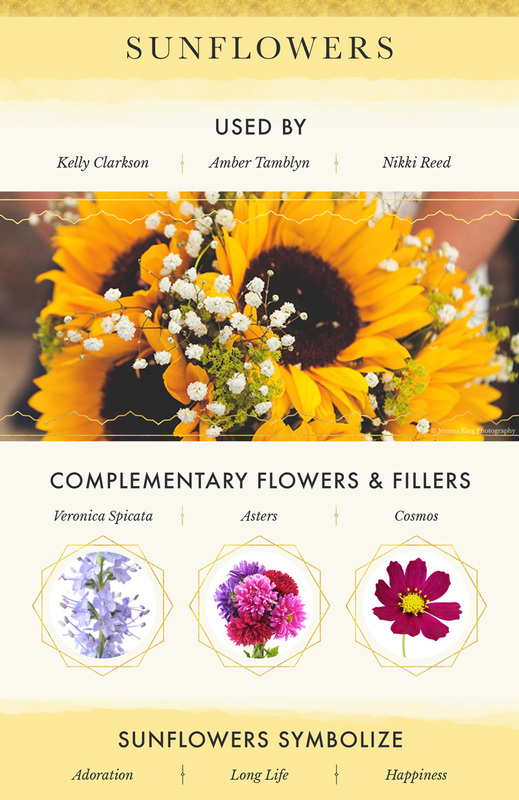 From being featured in bouquets, in the ceremony, and in centerpieces at the reception, they’ll showcase your colors and support the mood of the event. 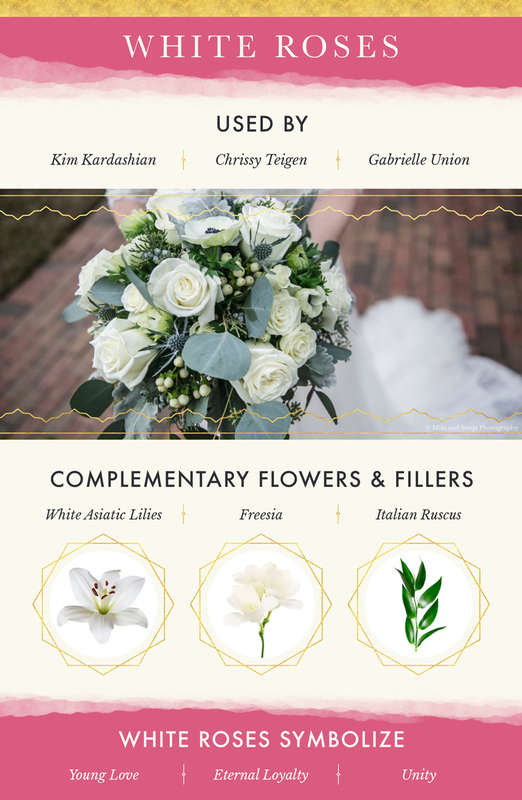 If you want your wedding to have an elevated and classic feel, opt for neutral blooms like white roses. 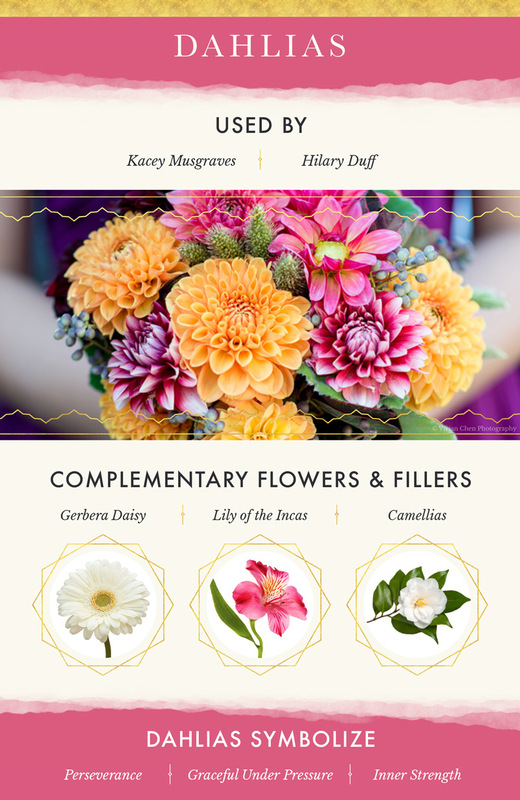 For a more fun and playful vibe, choose lush and colorful flowers like dahlias. 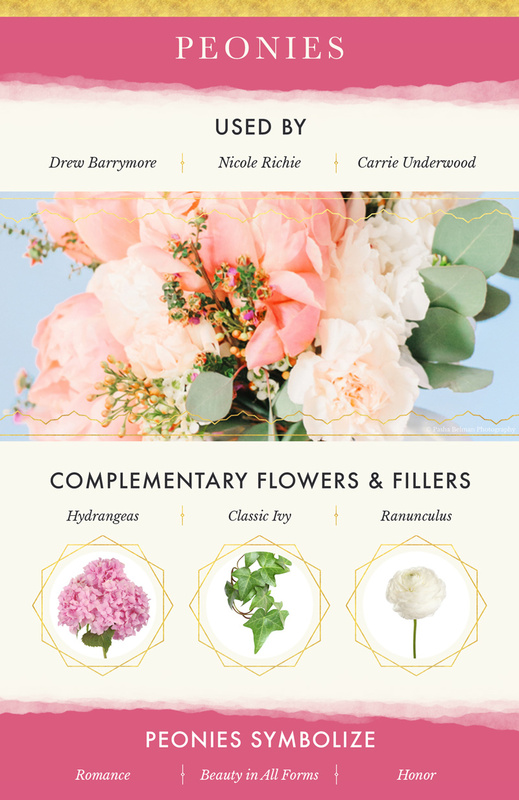 Hola has put together wedding bouquet ideas inspired by some of our favorite celebrities. Chrissy Teigen used white roses not just in her bouquet, but also in her hair! Drew Barrymore went bold with purples and pink flowers including dahlias in her bouquet! The visuals below are sure to inspire your wedding planning! If you’re not sure where to get started, don’t be afraid to ask your florist a lot of questions. All graphics courtesy of Hola.com. This post was guest-written by the staff at Hola. Risa James Events has no financial relationship with Hola.